Simple Answer former Directors Of a franchise of Dyno Rod now going in our own direction. ContactFor Drains are a young and dynamic business, having been the dream of its founder John. More recently John has been a director of a Dyno-Rod franchise and has vast experience in the drainage field. He has also recruited Robert Wright who also was a director of a Dyno-Rod franchise for over 25 years. His knowledge of the drainage business is second to none. Together they are confident that no drainage problem will overcome them. We offer a professional service on a one to one basis and now carry out all the Service Contracts ourselves. Our customers therefore know exactly who is attending their properties and can be rest assured of the experience and wealth of knowledge that they hold of the drainage industry. This is vital when sending out a sub-contractor. 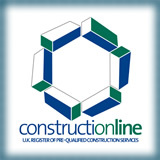 ContactFor is fully insured and registered with constructionline. Qualifications held include City and Guilds Street Works License, City and Guilds Inspection and Maintenance of Private Drainage systems. Other training includes Wincan CCTV training, High Pressure Water Jetting Training, a Confined Space Certificate, Basic Emergency First Aid and Oxygen Resuscitation techniques, Safety Excavation and Shoring, IOSH working safety, Customer Relation training, certificates in BSC awards for Health and Safety as well attendance on an extensive eight week training program set out by Dyno-Rod. With ContactFor becoming a household and commercial name, simplicity is the key with focused aims and a clear brand.